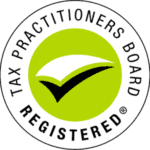 Taxwise Bookkeepers have been at the forefront of providing Heathridge clients with a reliable, affordable and accurate bookkeeping service that’s in a class of its own. We specialise in all industries and our clients range from small businesses to multi-million dollar companies. We have been in business for 39 years and have had the opportunity to deliver a much faster, hassle-free, efficient and certainly more accurate service than any other bookkeeping specialists servicing clients in Heathridge.